"This one is special. It is inspired by my years in a Convent boarding. The grey stone walls, the flutter of habits worn by the nuns, the Angelus bell, the silence of the hills around and the roar of the chilly wind cutting through it, the little chapel and the Sunday mass. It's where we girls learnt to be proper and ladylike and fierce all at the same time. The Convent is an all white collection, inspired by the colour preferred by the nuns. It is another rendition of what our philosophy has always been, how to translate Indian sustainable handicrafts for a global citizen. Each piece has beautiful details - right from the Stella dress that has pleats that go from big to small on the side, to the black stitch outline in the Bernette and Anne tops to our favourite piece, the Inés top, with its origami inspired pleats. The pleats and gathers are inspired by the little crafts and hobby classes we had to attend. The patterns are inspired by the discipline that defined our life there. The fabric is organic cotton and handwoven khadi made from hand spun yarn. We'd been wanting to work with Bikramjit [Bose] from the day we launched. Sadly at that time he was in between shifting home from Mumbai to Delhi and he couldn't make the time. When we started seeing the samples for this collection, we knew that to capture the soul of these pieces we'd need him to shoot for us. He doesn't click pictures, he captures poetry and we needed that for something as risky as an all white collection. He was as our first choice as a photographer for The Summer House so it was really nice to get to finally work with him." 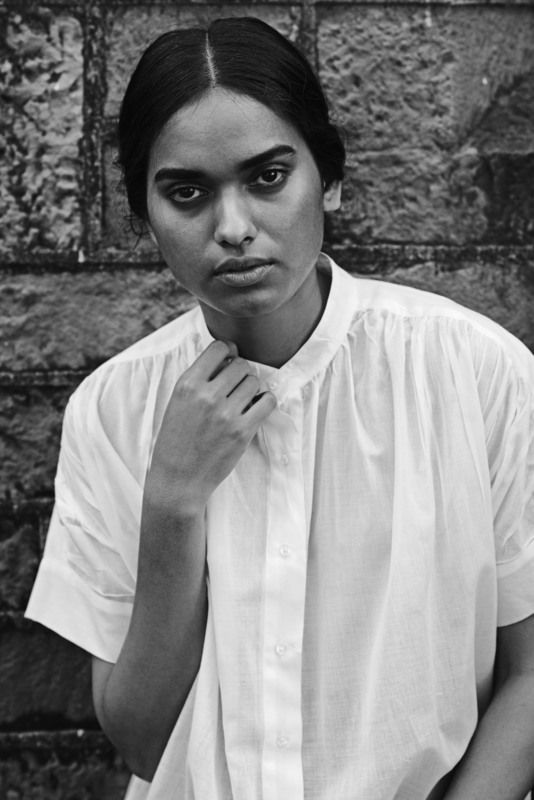 - Shivangini Padhiyar, designer.